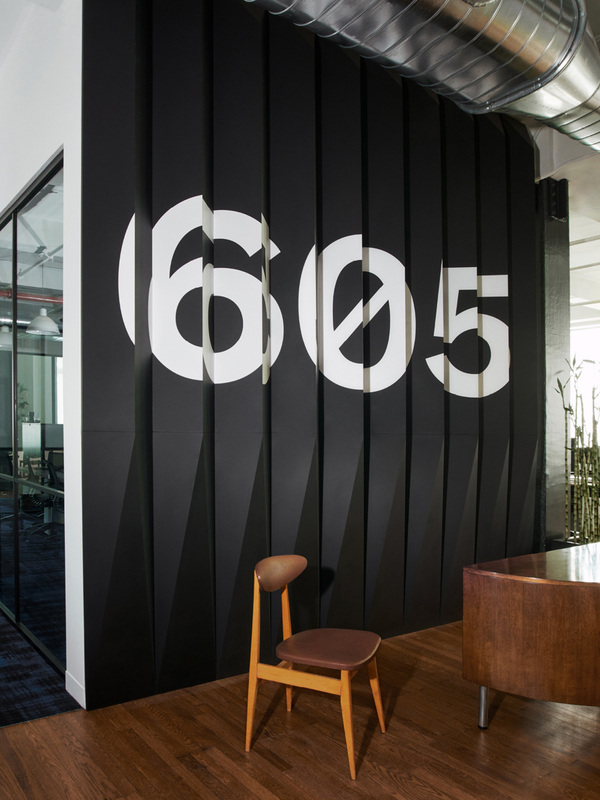 Established in 2016, 605 is a new data analytics and audience measurement company specializing on television audiences that “offers unique, independent audience measurement and analytics that optimize programming and marketing initiatives within the media, sports, and entertainment industries.” 605 was formed after Dolan Family Ventures — a venture capital firm headed by Kristin and James Dolan, former COO and CEO of Cablevision — acquired Analytics Media Group, which was the company that worked on the 2008 and 2012 Presidential campaigns for Barack Obama, helping to find and target the exact television programs for voters. 605 now has three offices across the US, and established a strategic partnership with Charter Communications, the second largest cable provider in the nation. The identity for the new company has been designed by New York, NY- and San Francisco, CA-based COLLINS. The secret name for all of our data efforts internally was DataCo Ventures, DCV. When we were naming the company, we didn’t want to use another acronym, so we looked at the letters as roman numerals and translated them into regular numbers, which is 605. We thought it went well with the idea of data and finding different meanings within data. As I was starting to write my review I realized I had no idea what the 605 name meant and the reason is so obscure I kind of love it, because someone probably said “But, no one is going to get why we are called 605”, to which someone maybe replied “So?”. 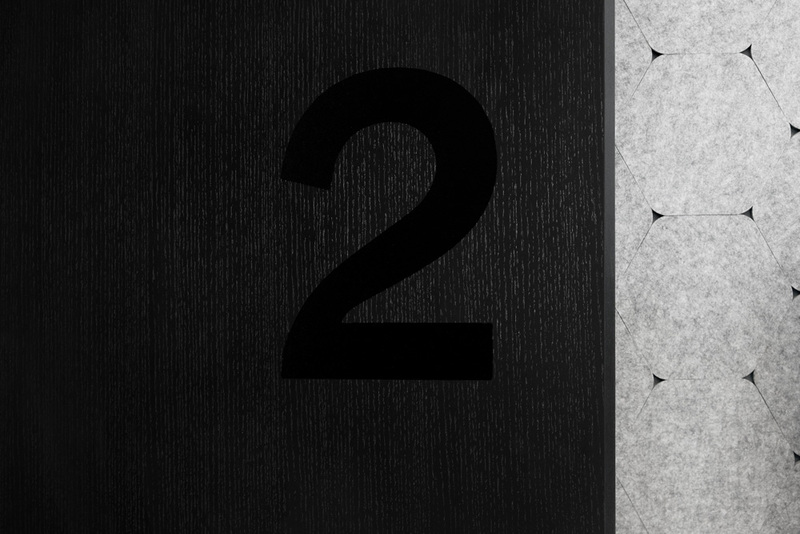 The Roman numeral reason is a great backstory that speaks to a way of seeing what’s in front of you in a different way, which is a nice metaphor for analyzing data. For the record: “DC” equals 600 in Roman numerals, “V” equals 5. Our aim is to show that 605 is at the frontier of data measurement and analytics. To do this, we worked with CEO Kristin Dolan and her team to identify what sets 605 apart from the crowded data and measurement industries. 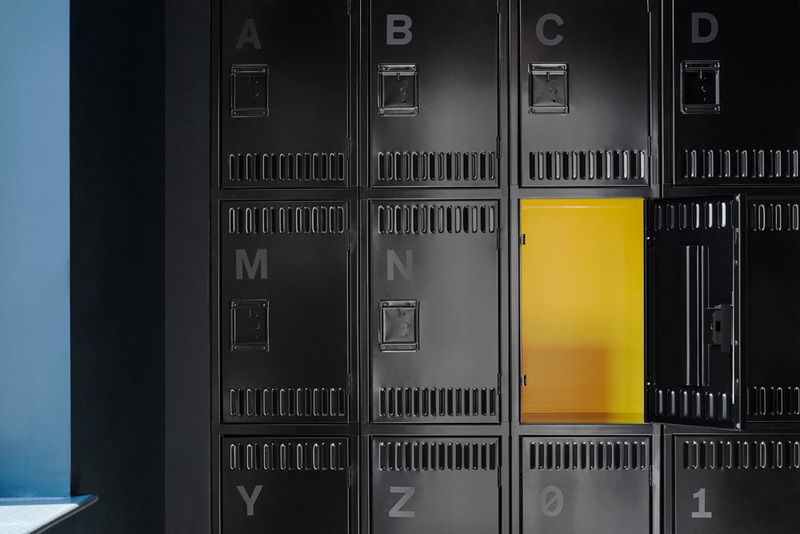 Together we realized that their uncommon commitment to absolute transparency was paramount — and unlike any other in the market. These foundational elements guided our vision for 605’s future. Our program focuses on this dedication to blunt transparency and discovery. 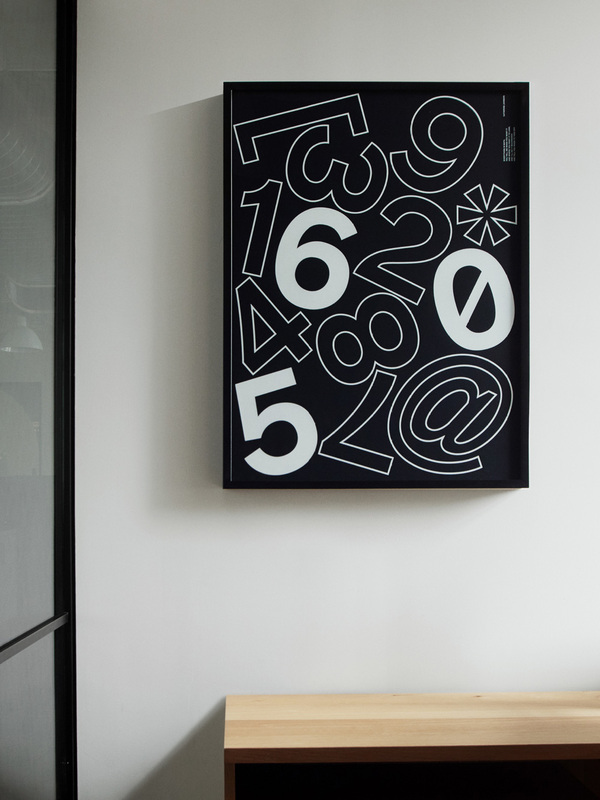 We’ve created a spartan design language that emphasizes how exacting data can be. The logo system is based on rebus principles — so the identity and typographic system have a sense of constant discovery. 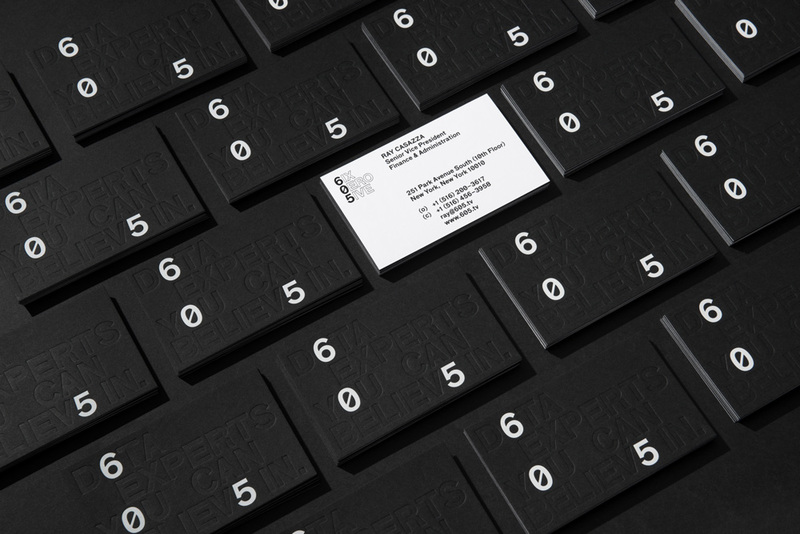 We created a black and white color palette along with a clean, custom typeface. 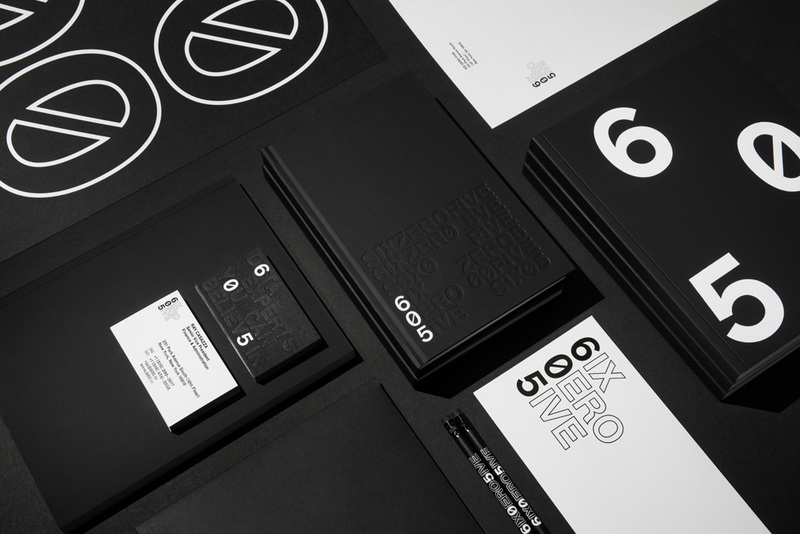 These elements are carried across 605’s identity system, website and new New York City headquarters. My disdain for Helvetica is no secret but I also know when to shut up about it and appreciate a proper use for it. Although the quote above mentions this is a custom typeface, it’s basically Helvetica, and it works perfectly here in establishing a no-nonsense, no-frills, pragmatic personality. The rebus approach gives me the same impression as the name, where someone must have said “But the 0 doesn’t look like a Z”, to which someone maybe replied “So?”. It reads perfectly as Six Zero Five because our brain is capable of amazing things beyond keeping Game of Thrones’ multiple story lines straight and the ability to actually start to understand Dothraki. The combination of filled-in letters and stroked letters is one that rarely works but the balance here is just right and helps convey the name with clarity. Animation, with gravity. This is so good. The applications are a nice display of typography and hierarchy in the limited palette of black and white and there is a great boldness to all the print materials. While the numbers/letters combo works great in the logo, like a rebus, in application — especially in the website — it starts to become annoying and reads like Leetspeak, but being limited to major headlines helps the annoyance not spread much further. 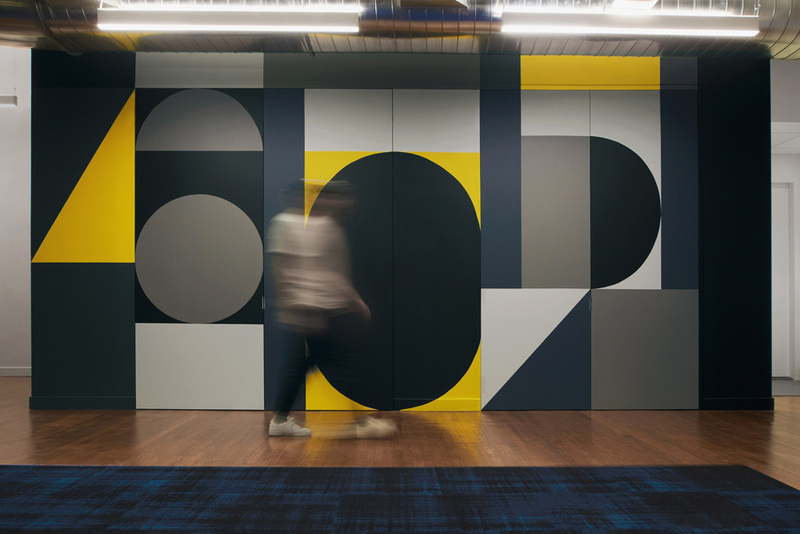 Our design principles extended into environmental design, interactive design and office architecture — as the 605 team so enjoyed meeting and working in our own offices in Greenwich Village, that they invited us to help them create theirs, too. 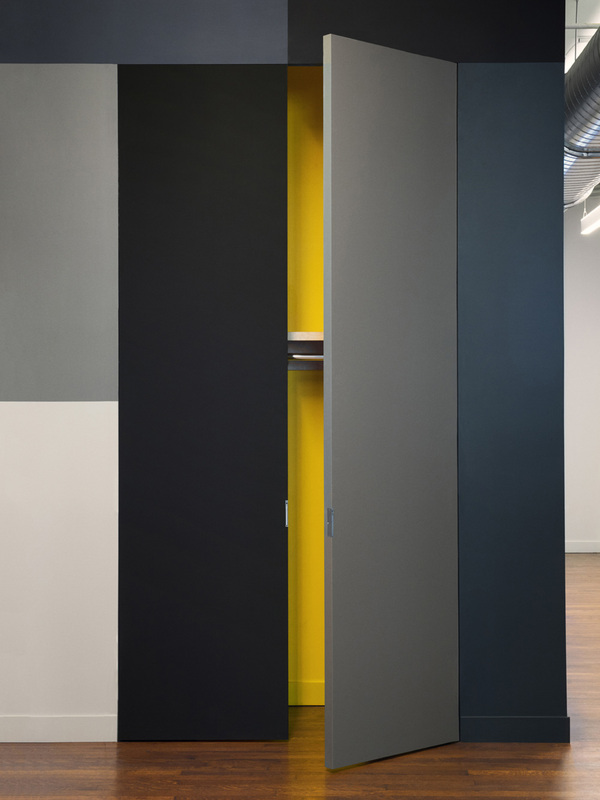 Working with Nancy Thiel, our architecture partner in our own New York City office, the new 605 space design is highly functional, no-nonsense and inviting — all at the same time. 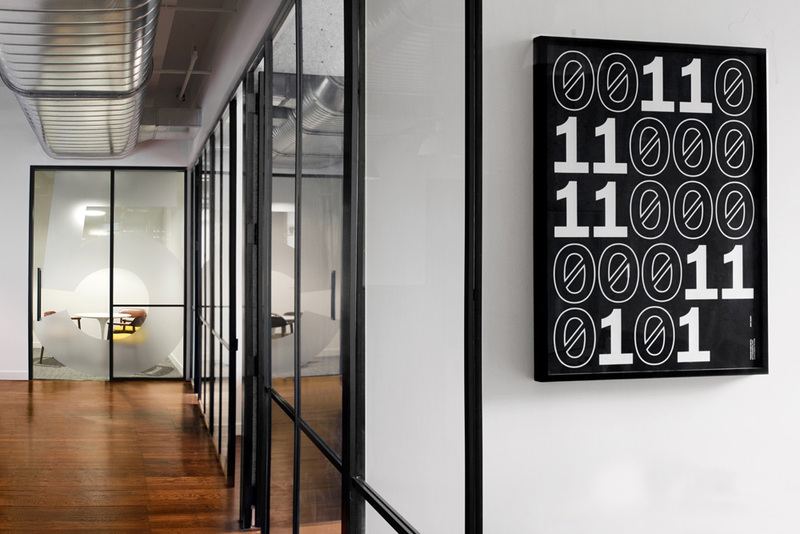 The interiors of the office are quite nice too and I like the International-Typographic-Style-esque nature of the framed posters that adorn the walls. The dashes of yellow are cool but maybe it’s odd that, all of a sudden, there is an emphasis on that color and no other. 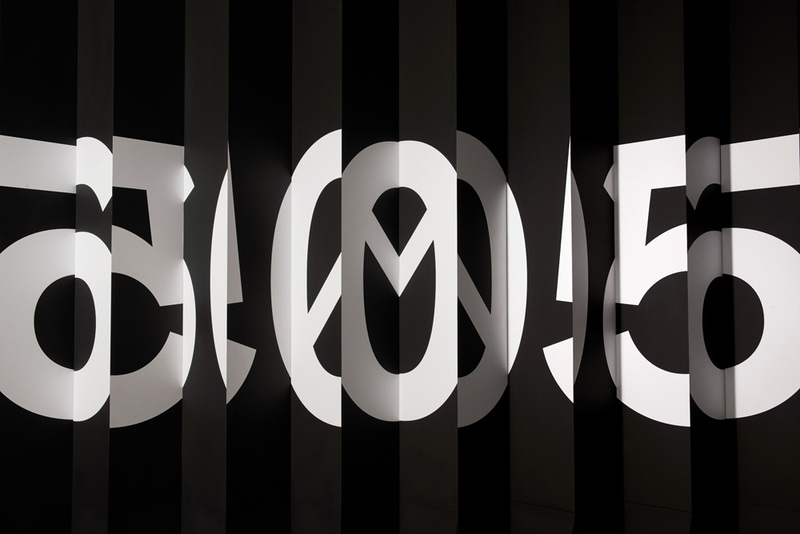 The introduction of geometric shapes (as in the last two photos) feels a little arbitrary and they spell out “605” as well in a style very different from the logo. But I guess an office can’t literally be a replica of a business card. 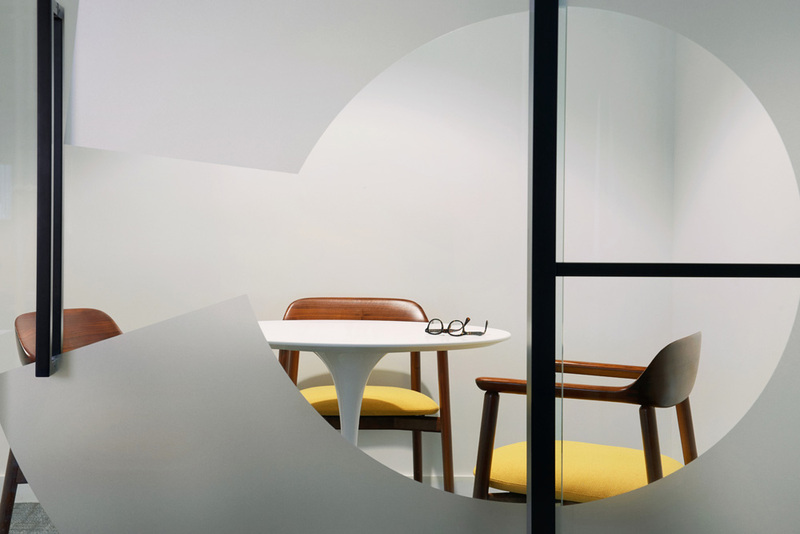 Overall, the identity strikes a great balance of being corporate — and able to attract large clients — with a sense that they could go slightly rogue (in a good way) at any given point. 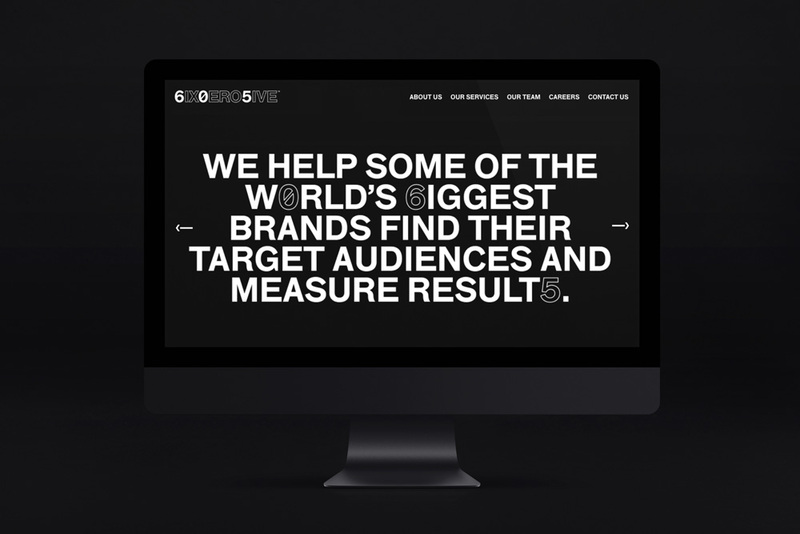 Established in 2016, 605 is a new data analytics and audience measurement company specializing on television audiences that \"offers unique, independent audience measurement and analytics that optimize programming and marketing initiatives within the media, sports, and entertainment industries.\" 605 was formed after Dolan Family Ventures -- a venture capital firm headed by Kristin and James Dolan, former COO and CEO of Cablevision -- acquired Analytics Media Group, which was the company that worked on the 2008 and 2012 Presidential campaigns for Barack Obama, helping to find and target the exact television programs for voters. 605 now has three offices across the US, and established a strategic partnership with Charter Communications, the second largest cable provider in the nation. The identity for the new company has been designed by New York, NY- and San Francisco, CA-based COLLINS.